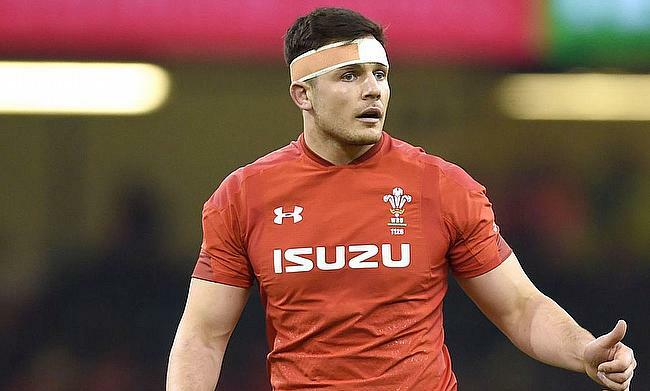 Wales flanker Ellis Jenkins is set to undergo a surgery following the knee injury that he sustained during the 20-11 win over South Africa in the final week of the autumn internationals. Wales head coach Warren Gatland has named Ellis Jenkins as captain for the November Test clash against Tonga at Principality Stadium on Saturday. Former All Blacks wing Charles Piutau said he is desperately hoping to represent Tonga in the upcoming 2019 World Cup in Japan. Grenoble have confirmed that Tonga international Sona Taumalolo has retired with immediate effect on medical grounds. Ampthill and District's new recruit Soane Tonga'uiha chats exclusively to TRU about his move back to Bedfordshire and his career in the game. Fullback Charles Piutau expressed confidence in returning back to international rugby after he was approached by Tonga with the 2019 World Cup in mind. Barbarians fought back brilliantly from being 0-14 down to go on to win the encounter against Tonga with a 27-24 margin at Thomond Park on Friday. Tonga international Valentino Mapapalangi is all set to feature for Aviva Premiership club Leicester Tigers in the upcoming season. Glasgow Warriors have confirmed the signing of Tonga international Siosiua Halanukonuka for the next two seasons. Tonga have qualified to the Rugby World Cup 2019 after managing to finish second in the Pacific Nations Cup behind top placed Fiji. Wales registered their maiden victory at Eden Park after they completed a hard fought 6-22 win over Tonga in their opening game of the summer tour on Friday. Wales have announced their team to play Tonga on Friday early this morning as coach Robin McBryde handed out debut opportunities to Scarlets wing Steff Evans, Cardiff Blues lock Seb Davies and Wasps flanker Thomas Young with a total of nine uncapped players in the team. Wales have suffered further injury setback as prop Samson Lee and uncapped fullback Phil Dollman have been ruled out of the upcoming summer tour of Tonga and Samoa due to knee injuries. Wales scheduled summer Test against Tonga is set to be relocated from South Sea island. Sonatane Takulua kicked a penalty in the final minute as Tonga registered their first victory over Italy since the 1999 World Cup on Saturday. Tonga international Nafi Tuitavake has penned a deal with Aviva Premiership club Northampton Saints. Tonga international Soane Tonga'uiha has signed a one-year deal with Bristol for the upcoming season. England have displaced South Africa from the third position in the World Rugby Rankings after their historic 39-28 victory over Australia in Brisbane last weekend.